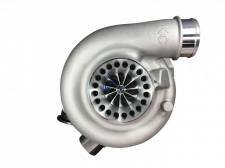 Description: Build your own 63.5mm Billet pmax with our upgraded cover, backing plate, and billet wheel. 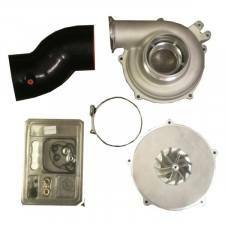 Description: Build your own Turbo with our upgraded PMax cover, backing plate, and billet wheel. Description: The KC stage 1 61mm turbo works great on stock injectors, it is specifically designed for guys looking to push stock injectors to the max without the extra lag of bigger turbos. 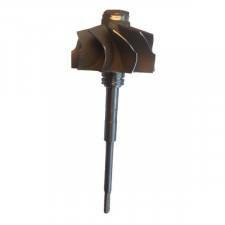 We recommend them for a max 155cc injector size. 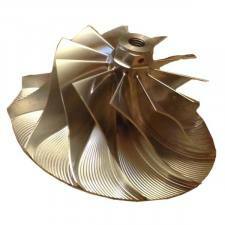 Description: Introducing the latest and greatest 7.3L s300 style drop in turbine wheel! 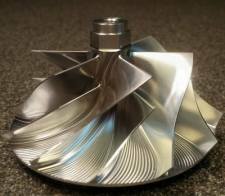 Please select from the options below to save on the billet wheel and bearing kit. 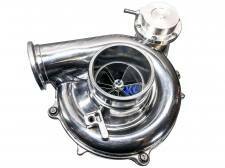 Description: KC TURBOS early '94-97 7.3L Powerstroke dual ball bearing turbo with 63mm billet compressor wheel and 73mm s300sxe style turbine wheel. 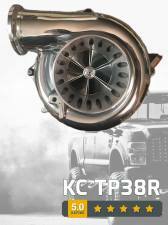 Description: The KC-TP38R is a factory-direct turbocharger (drop-in version of the GTP 38R) for the 94.5-97 'OBS' 7.3L Ford Power Stroke. 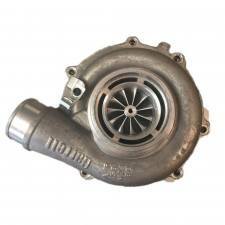 Description: This turbocharger is a great replacement for your worn out stock turbo for those wanting to stay with stock injectors up to 160/30's in their 1999.5-03 Ford 7.3L Powerstroke. 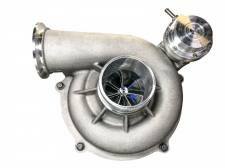 Description: This is a factory drop-in journal bearing turbocharger with a Borg Warner 300sxe Style 68mm turbine wheel with a 63mm billet compressor wheel for the Superduty early '99 model year. 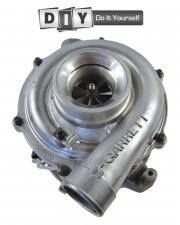 Description: This is a factory drop-in journal bearing turbocharger with a Borg Warner 300sxe Style 68mm turbine wheel with a 63mm billet compressor wheel for the Superduty late'99-03 model years. 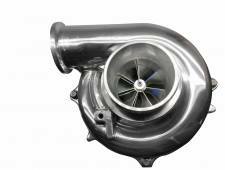 Description: This is a factory drop-in journal bearing turbocharger with a Borg Warner 300sxe Style 70mm turbine wheel with a 63mm billet compressor wheel for the 94-97 model years. 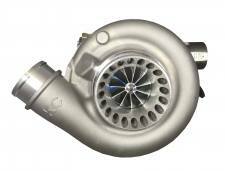 Description: This is a factory drop-in journal bearing turbocharger with a Borg Warner 300sxe Style 73mm turbine wheel with a 63mm billet compressor wheel for the 94-97 model years. 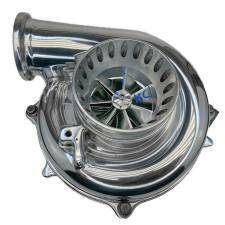 Description: This is a factory drop-in journal bearing turbocharger with a Borg Warner 300sxe Style 73mm turbine wheel with a 63mm billet compressor wheel for the Superduty early '99 model year. 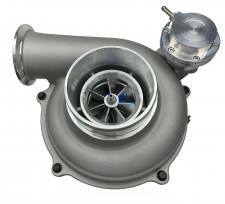 Description: This is a factory drop-in journal bearing turbocharger with a Borg Warner 300sxe Style 73mm turbine wheel with a 63mm billet compressor wheel for the Superduty late'99-03 model years. 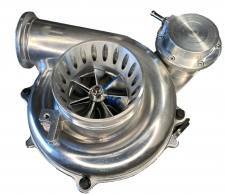 Description: This is a factory drop-in journal bearing turbocharger with a Borg Warner 300sxe Style 73mm turbine wheel with a 66mm billet compressor wheel for the 94-97 model years. 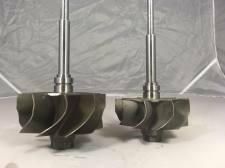 Description: This is a factory drop-in journal bearing turbocharger with a Borg Warner 300sxe Style 73mm turbine wheel with a 66mm billet compressor wheel for the Early 99 model year. 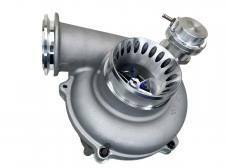 Description: This is a factory drop-in journal bearing turbocharger with a Borg Warner 300sxe Style 73mm turbine wheel with a 66mm billet compressor wheel for the Superduty late'99-03 model years. 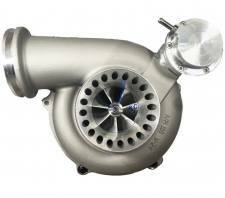 Description: KC TURBOS 7.3L Powerstroke dual ball bearing turbo with 63mm billet compressor wheel and 73mm s300sxe style turbine wheel for the 99.5-03 model years. 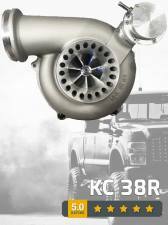 Description: KC TURBOS 7.3L Powerstroke dual ball bearing turbo with 66mm billet compressor wheel and 73mm s300sxe style turbine wheel for the 99.5-03 model years. 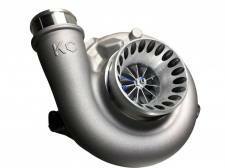 Description: KC TURBOS early '99 7.3L Powerstroke dual ball bearing turbo with 63mm billet compressor wheel and 73mm s300sxe style turbine wheel. 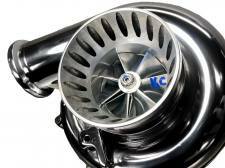 Description: KC TURBOS early '99 7.3L Powerstroke dual ball bearing turbo with 66mm billet compressor wheel and 73mm s300sxe style turbine wheel.